The lovely Anne R. Murray has nominated me for the Liebster Award. Thank you, Anne. I am truly honored. 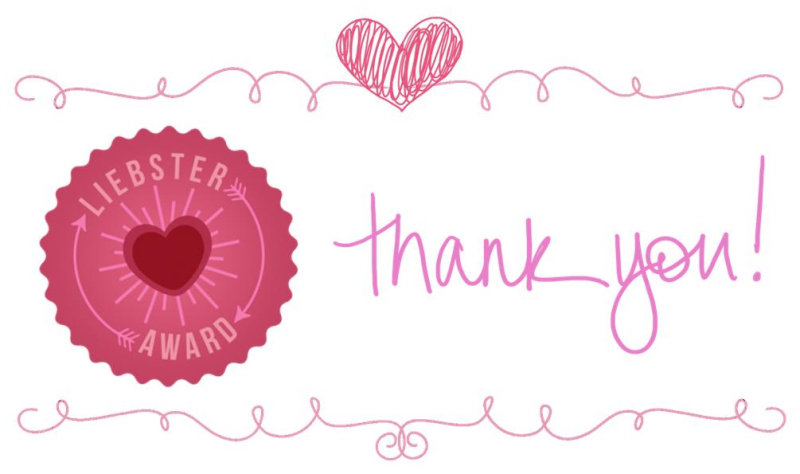 This award is about showing your favorite blogs some love and getting to know each other a little bit better. I’m always up for some good questions and connecting with others, so I am happy to play along! My life is so wonderful now. I feel I’m living my dreams. I could always use more money, though, so I would change my life so that money is no longer a factor in all decisions. My husband and I are working on that. What is your fondest memory? (Don’t be raunchy or offensive here). One of my fondest memories is goofing around with my best friends from grade school. We used to get together and listen to the oldies. We’d sometimes bake something, dress up or make movies. We just had a lot of fun. What is the most important lesson you learned in life? Don’t follow others’ advice/words blindly. You know best what is best for you. Learn to listen to that inner voice. It cannot steer you in the wrong direction. Others, even those with more experience and better qualifications, do not know you and cannot tell you what is best for you. Listen to what they have to say, but then put it all through your filter and go with your gut. Stop trying to be perfect and just be good enough. The person meant it for mothers, but I think it can fit everyone and most situations. If you knew that tomorrow was your last day on earth, what would you do today? I’d spend time with my husband and my son. We’d eat breakfast together, go out with the dog, go for a run, play some games, have an afternoon picnic in the park, and just have fun together. What is the weirdest dream you have ever had? I have weird dreams almost every night according to many people. I use dreams to work stuff out in my life, so none of them seem weird to me. Some even become inspiration for my stories and poems. If you could only take 3 things with you on a trip, what would they be? A book to read, a notebook to write in, and my Swiss Army knife. What holds the most value (person, thing, or place) to you here on earth? Why? My son. He is the greatest teacher of life. I want to be a better person for him. Who did you admire most as a child? Why? I honestly don’t remember. I know I wanted to be Anne, with an e, Shirley from Anne of Green Gables. I spent most of my childhood immersed in books. Life on the outside seemed pretty bleak back then for various reasons. Published novelist and poet, as in I spend all my time on my creative pursuits and putting my own thoughts into words. What types of blog posts do you enjoy writing? Reading? Who inspires you? Who are your heroes? What is your favorite way to self-care after a long day? Bonus question: Share your favorite poem. Thank you so much for the nomination! 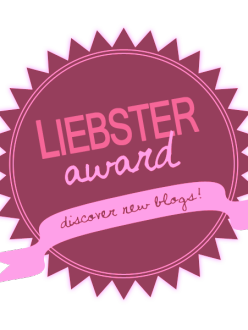 I’ve already received the Liebster Award, but it means a lot that you thought of me and enjoy my blog! Your life lesson and advice are both insightful and inspiring. I think they go hand in hand nicely, as many people blindly follow others because they want to be perceived as perfect. Thanks for sharing a bit about yourself! Thank you very much for the nomination – I appreciate it! Congrats! 🙂 And, also, thank you, kindly. Great answers and questions. Will have to work on this.